If we were to ask you to name that one thing associated with photo printers that is the most expensive, your answer would most probably be photo ink cartridges, right? You would be mostly right too! Most photo printer owners think like this. In fact, most people think that if they get the right photo ink cartridges, then their print quality should be perfect. Unfortunately, when it comes to actually printing images, their end product doesn’t turn out to be as good as they expected. The usual reaction is to either blame your own photography skill or an external agency such as exaggerated marketing from the printer manufacturing company or bad photo ink cartridges. The reality, however, is that you actually overlooked a key component of photo printing and that is the inkjet photo paper. 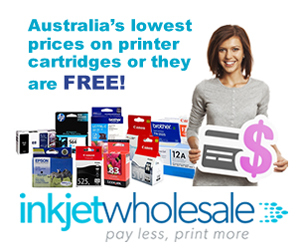 Most amateur photo printers or people who have just purchased their photo printers believe that all they need to do is get the right inkjet photo cartridges. They see all paper types in the same light. They think that cheap paper will provide the same level of quality that expensive types will. They don’t understand that one quality of paper can be different from another. More crucially, they don’t even understand that one paper type can be different from another paper type even if both of them fall in the same segment and cost the same amount of money. There’s a clear knowledge deficit in the consumer base regarding the relationship between a certain type of photo ink (generic or genuine) and a certain type of inkjet photo paper. The best way to understand the importance of the difference between the quality of one paper and another is to pick up a few books and magazines. Observe how they all have different grades and types of paper. See, how they feel to the touch and look from near and far. Doing this should show you how paper quality can differ. When it comes to photo paper, there are different ‘grades’ available in the market. These ‘grades’ are defined on the basis of a number of factors. 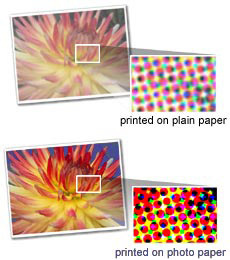 Knowing what these factors mean is the first step to understanding inkjet photo paper. So, the one property of inkjet photo paper that every individual knows about is surface. Most people know that there are different surface finishes that photo paper is available in. These surface finishes are created by coating the paper with chemicals which actually bond with the paper itself. These chemical coatings define how the surface finish of the photo paper will look since they govern how the paper will absorb the ink deposited by the photo printer. It’s worth keeping in mind that most inkjet photo paper brands are coated on only one side while a few have it on both sides. Common photo paper surface finishes include the usual suspects like glossy and matte but there are some unconventional inkjet photo paper surface finishes as well such as semi glossy, lustre, satin, classic black and white, and metallic. Each of these photo paper surface finishes has its own strengths and weaknesses. For one, they all make the end print look different. For instance, as you may already know, glossy inkjet photo paper will result in a highly reflective photo with high contrast and sharpness. On the other end of the spectrum are matte inkjet photo paper surface finishes which are highly subdued and subtle. These result in colours being toned down and the image looking more mature. Between these two, glossy photo paper surface finish is more attention grabbing while matte is more durable when exposed to the elements. Semi glossy, as is obvious, falls between matte and glossy inkjet photo paper surface finishes. Many professional photographers believe that the colour range is better in this surface finish than any other. Semi glossy photo paper will be less glossy than full glossy but significantly more glossy than matte. Other inkjet photo paper surface finishes include lustre which displays better depth, satin which is more ethereal looking, metallic which is more modern looking, and classic black which creates the same look that photos of the past used to have. One thing that clearly sets inkjet photo paper apart from general inkjet paper is the weight of the paper. You’ll note that inkjet photo paper is almost always heavier than normal paper. There is a reason why this is so. When you apply a lot of ink to any paper, it absorbs it. Absorption of a lot of ink can result in a thin and light paper curling up on the edges. 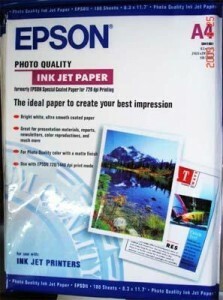 An easy way to test this is to use normal inkjet paper and print a photograph in it. Choose a high saturation photograph and you’ll see the edges curling up over a period of time. The heavier and more solid your inkjet photo paper is, the better it will survive the ravages of time. More importantly, the greater the weight of your photo inkjet paper, the better its print quality will be. The point size terminology used in the inkjet photo paper industry is derived from the world of typography. 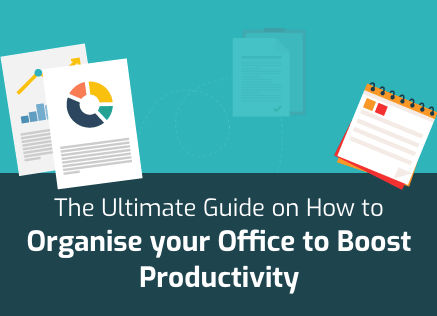 This point size performs the same function it does with the font in your Microsoft Word. It denotes the thickness of the paper. The relevance of the inkjet photo paper point size or the thickness of the paper is the same as the paper weight. The greater the inkjet photo paper thickness, the better the print quality and the photo durability will be in the short, medium, and long term. 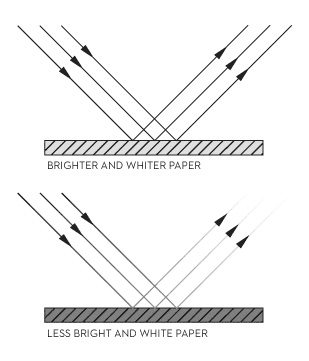 Brightness of photo paper can be explained in terms of the extent of light that the paper reflects. 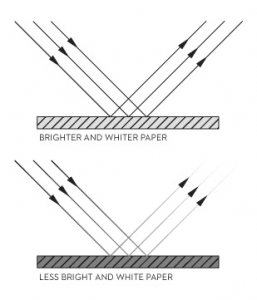 The more the paper reflects light, the greater its brightness standard will be. 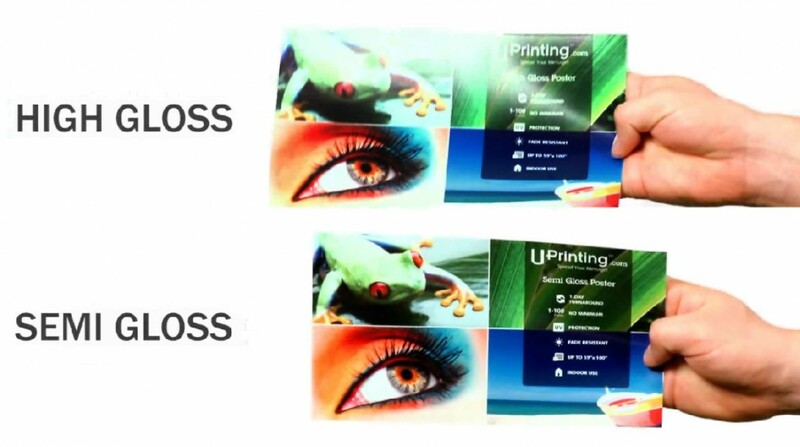 Across the board, you’ll find that higher quality, more expensive inkjet photo paper will have higher brightness rating. Another rating often analysed along with the brightness rating is the base tint or whiteness. While some people mistakenly exchange whiteness for brightness, these are two different ratings. Whiteness refers to the base tint of the inkjet photo paper. This is similar to the colour tint that bulbs sometime exhibit. Some inkjet photo paper types have a yellow or golden hue to them which many people find warm. On the other hand, many photo papers have a bluish tint which tends to give an effect of brightness. In many cases, you may not find the whiteness rating as this is most important for professionals. However, the more proficient you become with your photo printer, the more you’ll want to know about the base tint of the inkjet photo paper you buy. Paper stock is simply the categories that inkjet photo paper is put into on the basis of its different qualities. The paper stock rating is often connected to professions or the uses of the photo paper in question. Some common paper stock names include Bristol, Cardstock, and Newsprint. Each of these paper stocks will have a range for all the parameters by which photo papers are measured including photo paper surface, photo paper weight, photo paper point, and photo paper brightness. To print T-shirts, you’ll need to get specialised transfer paper.